Inn the Moment Being Inn the Flow the next step reveals itself without Thinking! Intuitively Knowingness is Understood Inn Explanation of Spontaneous Action. Exhaustion comes in Trying to Figure out Intuition with the Mind because Intuition comes from beyond the Mind. The Need to Try and Figure things out is actually a pattern of Conditioning that has been handed to you before you had awakened to the ability to Reason! Work to uncover ancient Conditioning from Family, Culture, Society, Work, Roles etc. Once you start to see the conditioning you can Now decide what you agree to and how you want to change! You are well suited and practiced Inn welcoming Change Inn to your Life. Keep it up as you go on an archeological treasure hunt for Conditioning. Your work Inn this regard will deliver Hugely! As you do the work you will notice a pulling in opposite directions! As soon as you notice this resistance, just proceed to ‘Let Go’ of the Thinking about the Pulling and what it means! Let Go and Let God, Spirit, the Light Guide you Moment to Moment and a true and deeper Understanding emerges which Lifts you off the ‘Perch’ of Feeling Pulled apart. It is because of the Vision Inn to the Nature of a Thing that has come on line there is a rising up Inn to a connectedness that is a Galactic Constant! 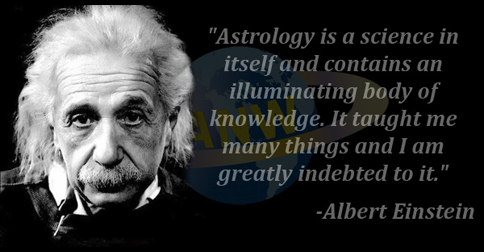 It is quite Exhausting for you Taurus at times due to the habit of working to Know the Un-Knowable! Wow!! Now is the time to Sit atop the Lotus Naked and Alone and all yourself to Just ‘BE’ with what Is! This Allowing to ‘BE’ will relieve the sense of Being Inn Side or Outside; both of which are an artificially created agreement! Mind Stuff will Be Wholly Un-satisfying at this Point Inn the Life! What has appeared to Be chained and closed Is Open giving the appearance of Being Chained Shut! All Comparative Analysis is useless yet a habitual mental activity. Unknowingly the habit results in a Postponement powered by a Laziness that is held in place by a False Pride Inn Accomplishment! Now is the time for the Rebel to Be Empowered to Break free and to Catch the Free Falling Fruit! Be Ready for the Extra Ordinary to becomes the Ordinary setting the Stage for a Continuous Flow of Extraordinary Manifestations. Look for the Ordinary! It is the Breaking through of the Need to Have Evidence of Miracles all around you that fosters Ordinariness! Know Only the Intensity Inn the Fire of Love and your ability to allow your thinking to reflect to you as Ordinary comes forth. You are quite practiced in the Art of Letting Go and Letting God, keep up the Good Work. ‘Letting Go’ of all you have with the understanding that it is God’s facilitates elasticity in Being! Take Courage Inn to the hard and tight places and Know that nesting there produces an opening to Intuitive Knowing the Next Right Action. Now there is a tendency to allow what appears to ‘B’ a Postponement to Actually Manefest as a Postponement! Actually it is a Choice or Knot! Inn the Silence All Alone the Light Brings forth New Growth Inn areas that appear to ‘B’ Unbearable! This Is Because there Is Soooo Much Ripeness that is Waiting for the Right Time; and Now is the Time, believe it! While there has been sooo Much Abundance of Sooo many Kinds, your hard work and perseverance has Now Yielded the Next Step, the Doorway that is Unseen! While the Fool steps out into open space with Love Inn Hand, it is only because of the Offering of Love that Footing is there! There is and has been a Huge Healing that gives rise to the appearance to ‘Wait Some’, to rest! There is a huge difference Inn your ability to take Rest Inn the Divine Right Action! It Is your consistent effort, willingness, faith and Trust In G-d that the Courage continues to come to you as your New Path your next chapter takes root between a Rock and a Hard Place bringing forth magnificent miraculous Growth and Flowering! Inn the Current there is some Motivation to Postpone Action! Your path will Be Revealed from with Inn the Experiencing the Super Natural! However, your will Need the New Vision that has laid dormant with Inn your Grasp! It has Been Courage that has & will move you Inn to Position to Exercise your New Vision. All the pieces are ready and ripe to drop Inn to your lap! The Table Is Set and even though Feeling isolated has been up, it is your familiarity with this sense that supports your going into Silence Where You Find over and over with Inn your Innocent Heart of Love the Courage to Receive guidance and take Action. Soon this Action and Courage bring a Harmony that completely balances the sense to Postpone taking Action due to the sense of Being isolated and Alone! The Harmony Is a Healing Blessing that Is Truly Coming Soon! Sinking Inn to Sorrow is a choice delivered by the Individual identification! Because you have some awareness of the Lovers with Inn you have been successful Inn rising above the Sorrow. Next Slow Down and Nest Inn the Lovers to dissolve the Sorrow and awaken God’s Love! Morality is Up and How to navigate the rapids continues to Come to you because you are Ripe to Receive from the Source of All Existence Intuitive Guidance. The Rebel with Inn is a source of Energy that you have mis-identified! Embrace the Rebel and that Source of Energy comes Inn to your system to Complete what Is there to Be Completed. As one Piece Completes the Field of All Possibilities Reveals the Next Chapter! Enjoy! With Inn Your Heart Is the Ultimate Soul Mate and the Love the Perfect Love written about Inn Countless Scriptures, Poems and Stories! You Libra are particularly Ready to Step Inn to that Pool of LOVE more so than you have done thus far. You are Sooo Ripe and Ready to Experience LOVE beyond the Physical which shows it self Inn the Physical. Love is the bases of ALL! When Alone Dive Deep into the Void and Inn to the Light that you Find there! New Growth and Life Appears Right Inn your Hand! This Life Is the Adventure that ONLY a child like curious innocence sees! You have been seeing which is the bases of the Love with Inn! Life as it is presents many diverse energies that can appear to be an internal Yes and or an Internal NO! Sit Inn That and discover more about what is there! Stop to Discover a more precise way to Proceed, including Compromise is One of your strengths that supports you Inn the future! With Inn That you Find a Harmony that is Only available through Compromise! That Harmony sets the Stage for Deeper Discernment! Inn the Essence of All that Is your R and spending time Inn That has yielded Much and will continue to Yield Inn your Flavor! It is the Intensity of the Fire of Love that moves you and you like it; keep focused on the Essence! The Adventure thus far is ONLY beginning for there is way more with Inn your Childlike Curiosity. Look at the Essence with Inn with more Childlike Curiosity. The lesson of Being able to Compromise has served you well. Teach this lesson to Others who are unaware that a Compromise is a partial win! As you continue the Adventure the Change that comes your way moves you along the path that Only God knows is best for you! Embrace what Is with the Totality of Love you Know, have heard about and wish for! Patience Patience PATIENCE is being called for especially during this time! Find an extra gear and shift into more Patience and the Blessings from the Past Will Flow to you. Blessings, Clearing & Balancing Come Your Way! Deep Animal Instincts come Inn to Clarity and yield deeper understanding of How their Part Plays! Patience Stepped Up Opens Sooo much more Awareness for you to See through the Veil of Desire! The Ghosts from the Past Step Aside. Your Intensity is One of your greatest assets and tools. Patience allows that Tool to be directed spontaneously and effortlessly. Wow, all this provides you an expanding Guidance System of Divine Origin! Now that you know that your Awareness’s are revealing beyond the veil from the Ghosts of the Past your Inner Divinity is Showing Itself to YOU more and more! The Abundance of Wealth is Balancing Itself and increasing as your Awareness of that Divinity Grows! Being Alone is Growth right Inn the Palm of your Hand. Being Alone is a Gift of Presence and Being-ness Available throughout your Day and with Inn All Activity! The Awareness that has Opened Up for you Is Beyond Illusiion and each time you agree your strengthen that ability to Be Aware of the infinite next layer Inn the Unfolding of your Awareness. Being Happy Joyful and Free is anchored Inn to your system as you seek, participate and enjoy Being Playful. Playfulness Inn the circumstances of the Life can be experiences inwardly and or expressed outwardly! The circumstances will guide you! Just Notice that as you spontaneously step inn to Playfulness it is God ramping up the Life! The life is Ripe for you Aquarius to step into an increase intensity of Maturity, which you have been doing quite successfully already. Now though, as you are able to Glide More-So, ‘Moment-to-Moment, that Maturity skyrockets in Smoothness and Importance. Importance to your making More Mental Transition from Ego to Humility. The Extra Ordinary Becoming More & More Ordinary not only forters Humility it also opens the flood gates for the Extra Ordinary to Be a Daily Diet! Now it is important to sit in the depth of the Void even though you have done this before! Going Inn to what is Familiar Inn it’s emptiness will at first bring up an ego orientated comparative analysis and as you sit in that the need to cling to the Past Experiences are Released; Practice, Practice, Practice! Now you are positioned to Complete another Part. A complete part and a more refining/revealing of the Intricancies of the Hologram! All that is, is Beyond Illusion which the Mind holds onto until the Mind Must Let Go! It is from the Personal Work you Pisces have done that has yielded the Insight and Awareness’s that you have today! Your Intensity has served you well in Uncovering and Realizing the depths and layers of Awareness! While you already know all this, it is the Burden of the Past that is causing the Stress! Inn that regard the Show you Put on to Impress others is actually a distracting device that serves you; so you think! You can step into the Heart of the Burden when you feel the Stress putting on the Show Surrendering there, to the Source of all Inn Existence! Your familiarity of the Source with Inn gives you a leg up on quickly dissolving the Past Burden you Carry. The more you practice this the more Receptive you Become to Practice this which clears away the interferences in your Being Happy Joyous and Free!